The ThumbnailCNC setup dialog lets you customize the service according to your preferences. 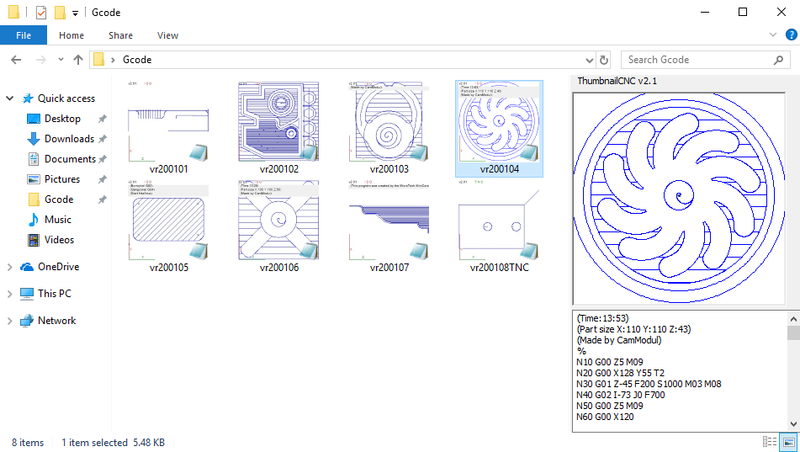 You can easily choose which file types ThumbnailCNC will create thumbnails for. 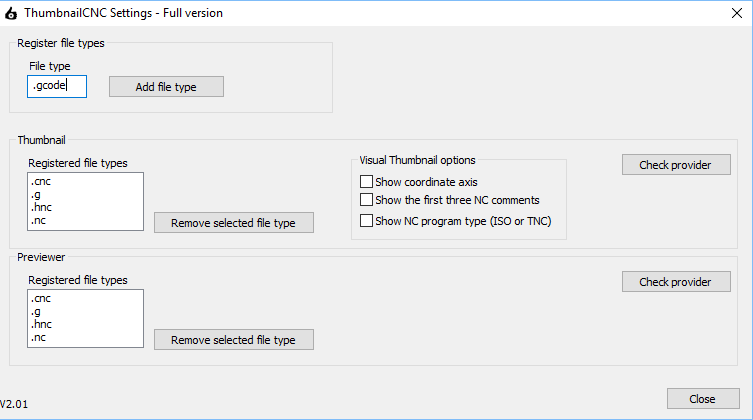 Type the file type name in the box labeled File Type, and then click the Add File Type button. Show coordinate axis: Shows the coordinate axes in the bottom left corner. Show the first three NC comments: If there are comments in the G code, the first three appear in the thumbnail image. Show NC program type: The service determines whether the G codes are of the type ISO or TNC (Heidenhain). Shows a TNC / ISO indicator. 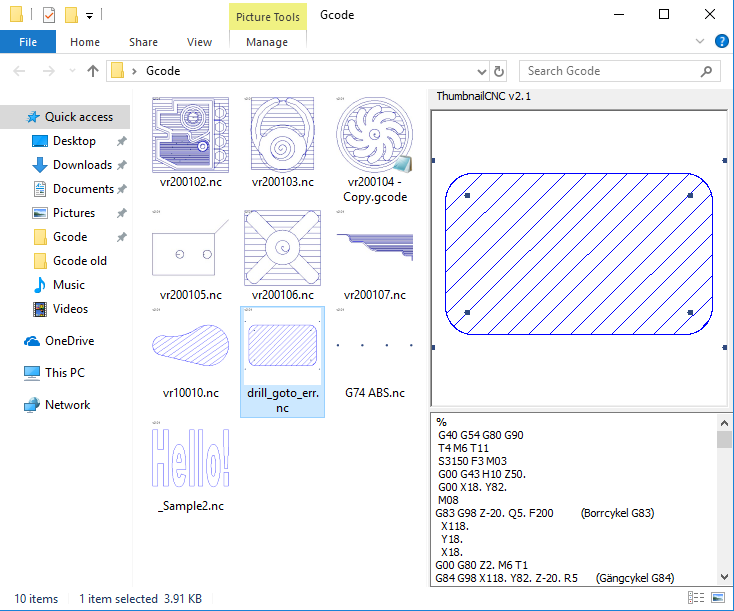 ThumbnailCNC provides two services for G code visualization. 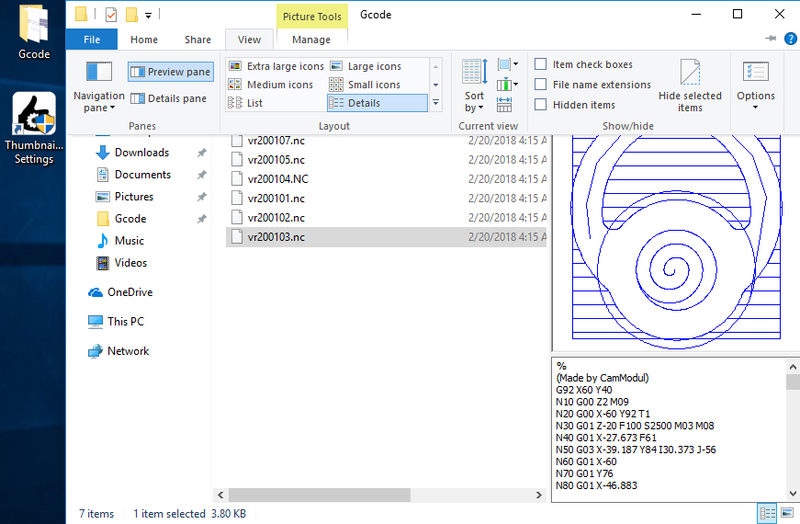 Thumbnails is the image representation of the file. You can easily change the image size by changing from ex Medium icons to Large icons under the View tab in Windows Explorer. The Preview pane is a quick preview of the files content. 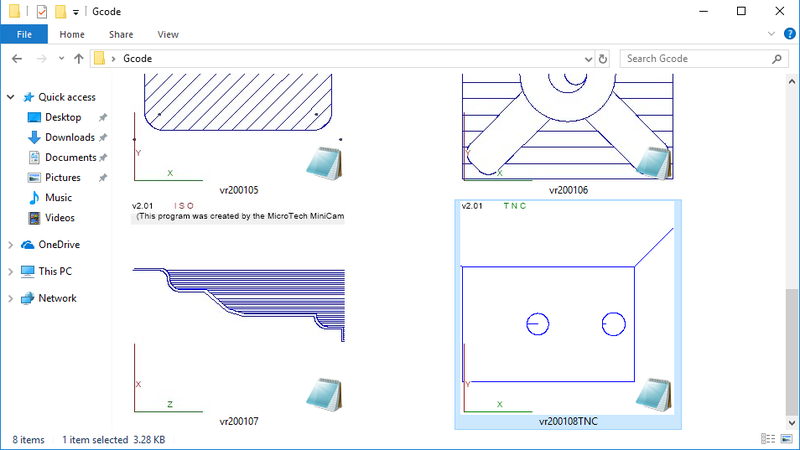 It shows both the CNC file content as text as well as a graphical representation of the tool path. The Preview pane shows the file that is selected.